After a day of “rock solid” Lehman-isms, emergency bond buyback plans, and a stock price still unable to close green, Deutsche Bank is on the ropes (despite CNBC proclaiming that “it doesn’t feel like a Lehman moment.”) However, as dawn breaks across the motherland, something more insidious is breaking for Germany’s largest bank. 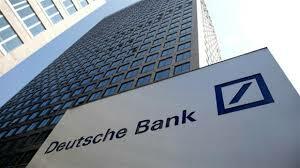 Deutsche faces an uphill task rescuing its stock from record lows, especially, as Reuters reports, a top 10 shareholder exclaims “investors have completely lost faith in the bank,” and a fast recovery from this crisis was unlikely. As Reuters details, Germany’s flagship lender has trailed its rivals in bouncing back from the 2008 financial crisis, hamstrung by having to pay out billions of dollars in fines to end a string of legal disputes and ageing technical infrastructure. Several investors told Reuters they feared Deutsche would need to tap markets for more capital – despite raising a total of nearly 20 billion euros (16 billion pounds) from investors in 2010 and 2014 – to deal with regulatory and legal issues. Sseveral investors said they felt time was running out for the bank to show successes – such as returning to profit or stabilizing its share price – after other large lenders had moved on and closed the chapter of financial crisis. Of course there is always the “government put” but in this case – with Europe’s new bail-in “reforms” DB co-CEO Cryan’s hopes that “the government would intervene,” could well leave everyone from equity to depositors taking and haircut (to zero in the former case). WHAT NEEDS TO BE DONE. Simple? Recognize the problem. It is not oil, it is not in the banks..it is a run on central bank liquidity, especially dollar based and there needs to be much more ($) liquidity. Keynes said to deal with overinvestment boom you cut you don’t raise rates. QE is impractical but getting the dollar down would greatly lift dollar based liquidity. So for a starter Fed shd stop raising rates and clearly signal an extended time out. on negative rates — instead of making them punitive on the banks allow the banks to earn the spread, make them punitive to savers.. Cash shd be charged interest — put the micro chip in large denom notes/tax cash withdrawals.. encourage spending not saving .. mortgage rates can be negative and banks can still earn a spread. The spread is the problem not the rate.